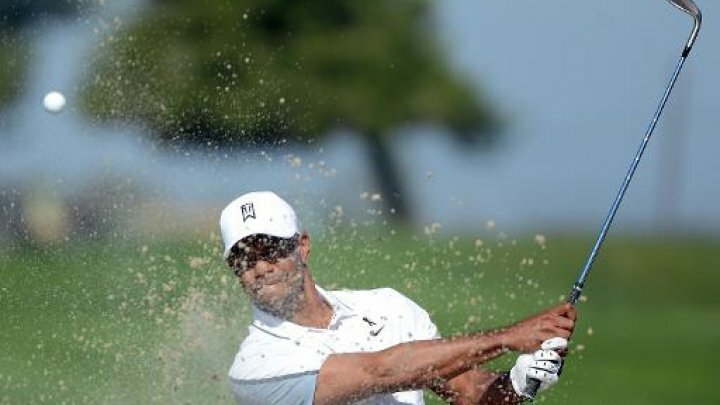 Former number one Tiger Woods has dropped out of the world top 100 for the first time in his career as he continues his battle against injuries and loss of form. The 14-time major winner, who first broke into the top 100 when he turned pro in 1996, has fallen to 104th from 96th in the latest rankings issued after the weekend's tournaments. The 39-year-old American has spent a cumulative record 683 weeks as world number one and was last in that position in May, 2014 when he was replaced by Australian Adam Scott. Since then, a succession of injuries and swing problems have bedevilled him and are threatening to derail the rest of his career. Just last January Woods posted an 82 in the Phoenix Open -- his worst round as a professional -- that saw him drop outside the top 50 in the world rankings for the first time in more than three years. Since then his downward slide has continued resulting in him failing to qualify for last month's WGC-Cadillac Championship, an event he had captured seven times. When Woods turned professional in September 1996 at the Greater Milwaukee Open he was ranked 433rd in the world. He then jumped from world number 221 to 75 five tournaments later in breaking through for a maiden pro career win at the 1996 Las Vegas Invitational, the first of his 79 PGA Tour titles. Woods first took the world number one spot in finishing 19th in the 1997 US Open at Congressional in Maryland. He has not played since a sore back forced him to withdraw mid-round from the Farmers Insurance Open at Torrey Pines in early February. He then announced he would take a open-ended break from competition to get his game in shape. He has said he is "hopeful" of teeing it up at Augusta National when the Masters starts on April 9, but his chances of doing that are looking increasingly dim. Current world number one Rory McIlroy has been top of the rankings since August 3, 2014 and his accumulated total stands at 73 weeks after having reached the pinnacle of the sport on four previous occasions.